No matter how much I earn, or how hard I work, I can’t keep up. No matter how much I make, I’m just going to spend it all. I’ll never make enough to get out of debt and live the way I want. These are the thoughts and feelings that make you want to give up. They stem from fear, desperation, lack and scarcity. There is a way out of this cycle. It’s not hard. And once you learn the steps, you can use it for the rest of your life–every time you’re about to up level and fear comes back to taunt you. Are you looking for a family of like-minded individuals who are working on building their financial future and need the support and strategy to be consistent, be accountable, be relentless to make, keep and grow your money? You have found it! Receive access to special no replay Financial Rebound Videos so that you can stay in the loop even if your schedule doesn’t allow you to. 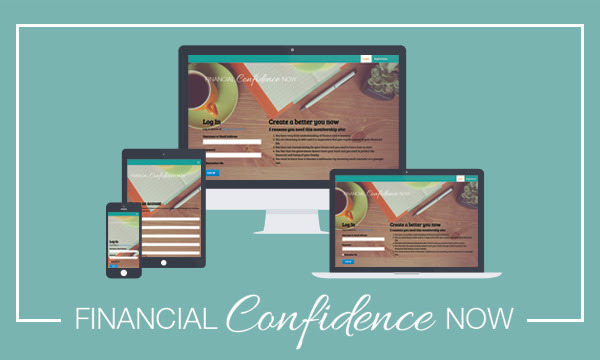 Receive access to special Financial Rebound only products, services and tools so that you don’t have to “guess” about the quality of the services you receive to grow your net worth. You want to invest in the stock market but fear is holding you back. You are not saving as much as you should for your future and need accountability partners. You want to learn how to become a millionaire by investing in a variety of options including stocks, real estate and other investment vehicles. You want to earn additional income by starting your own business but you don’t know where to begin. You need to manage your time and your money to ensure you reach your financial freedom goals. You are a goal-getter not only a goal setter. You want to take control of your finances, build financial freedom and leave a legacy for your family. If you have thoughts like those above, if you’re unsure how you’ll ever get ahead, if you’re tired of hustling for too little in return, then join us. So what are you waiting for? Join Now! Join #FinancialReboundCommunity TODAY and receive the knowledge and support you need to control your money.